So far this season, we’ve talked about some of our plans for the second location, our big day full of dozens of interviews, and our pre-training process. In that process, as we discussed in the last episode, candidates needed to successfully complete a specific task three times in a row with a time limit. Those who were successful moved onto the next step: being offered a job! The next step is live training, which is what we’ll be focusing on today. Our employees, who are paid from this point forward, have the core skills they’ll need at this point but aren’t quite ready to be fully effective in their roles yet. We believe that employees in each role need around nine training shifts over the course of about four weeks. To start this process, we let our current employees know that this would be happening and that if they were ready for a well-deserved vacation after their months or years of hard work, this would be a perfect time to take it. This helped keep our costs reasonable, and also ensured that we weren’t unfairly taking shifts away from our current employees. During an employee’s first week, it’s critical to have someone shadowing and coaching them to make sure everything is clear and that the work is done well. This gives us a fantastic opportunity to let some of our more senior employees take on new responsibilities and take a step toward larger roles. [00:44] – Tom D. launches into the podcast by describing what their live training process is, and what its goals and purpose are. 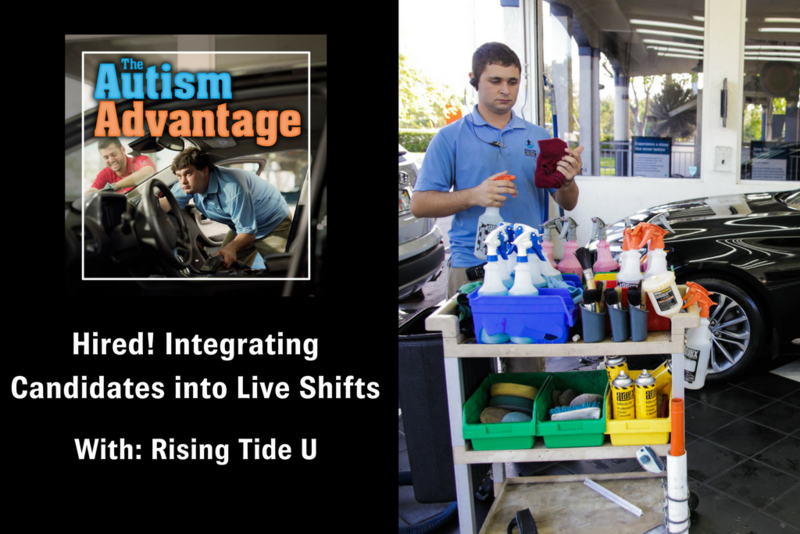 [02:23] – Tom S. steps in to point out that one of the great things about Rising Tide Car Wash is that there’s constant feedback, coaching, and training. He then digs deeper into how they mapped out the live training process. [04:19] – During this process, for the first few shifts, they have one new employee doing the actual production work while an experienced employee shadows them to oversee the work. [06:37] – We hear more about the extra costs involved in the live training process, and how much new employees are paid. [07:26] – Tom D. explains that this is the first time they’ve gone through this onboarding system with so many employees at once; they usually do it with a few, and this time, they’re doing it with 45 people. [09:20] – It’s important to make the live training shifts as realistic as they possibly can be. Tom D. talks about how they balance this consideration with the need for having extra staff on hand to coach new hires. [10:47] – Another important point in this process is that you have to test and reassign role assignments as necessary. [12:35] – Tom S. points out that for many of these employees, this is a first job. That means that they may not immediately understand how to be a good employee. [13:28] – Tom D. talks about the various types of teaching moments they have when there are some kind of issues with an employee’s behavior. He gives a quick example. [15:37] – We learn about the importance of not making assumptions about people’s motives, or whether they’re a good fit, far too early in the process. Tom D. emphasizes that 90% of the time, the person doesn’t understand what’s being asked of them. [17:03] – Tom S. brings up a bright spot they’ve seen in the training process: the sheer number of successes so far. [18:02] – In response to what Tom S. has been saying, Tom D. raves about how well their employees have done. Tom D. then points out how enthusiastic many of the hires are to be working at the car wash.
[19:07] – The next step is actually getting ready to launch the second location, which is now just a few weeks away!